Professional Supplement Center now carries Face Doctor™ therapeutic soaps specifically formulated to nourish and improve the condition of the skin. Face Doctor™ focuses on skin care products made with naturally effective, clinically-backed ingredients. Soaps are formulated with sea buckthorn oil, well known for its medicinal, cosmetic, and nutritional benefits. In addition to its skin nourishing, revitalizing and restorative properties, sea buckthorn has been shown to effectively destroy the skin-damaging, inflammation-causing demodex skin mites seen in many complexion problems. Sea buckthorn oil is a natural ingredient that aids the healing process and provides nourishing support. It helps to relieve symptoms of acne, dermatitis, eczema, psoriasis, irritated, dry or itchy skin, prematurely aging skin and malnourished, scarred, and sun damaged skin. Naturally rich in vitamins A, C, B1, B2, E, and K, carotenes, flavonoids and microelements, as well as essential fatty acids, tocopherols and phytosterols, these safe, effective and clinically tested complexion bars provide restorative healing for damaged skin, as well as nourishment for the maintenance of healthy skin. Safe for all ages, Face Doctor™ skin treatment products can be used on any area of the body and are also useful for diaper rash and cradle cap in babies. Frequency of use is dependent upon individual skin conditions. When used once or twice daily, or several times weekly, one bar generally lasts 3 – 4 months. Complexion Soap: Formulated for damaged skin, this dermatologist recommended facial soap gently cleanses and improves the appearance of acne and rosacea to support a nourished, clear and rejuvenated complexion. In addition to sea buckthorn oil, the all-natural healing and restorative ingredients include aloe vera, coconut oil, and astragalus. 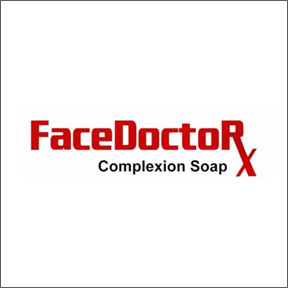 FaceSurgeon™ Medicated Soap: Specifically formulated with natural plant extracts to restore healthy skin; heal and repair damage; and relieve acne, redness, blotchiness, rosacea, eczema, and other related conditions. May be used in conjunction with Complexion Soap to expedite and promote healing in more persistent cases. Dermatologist recommended. This entry was posted in Home and tagged Complexion Soap, Face Doctor™ - Featured Brand, FaceSurgeon Medicated Soap, Professional Supplement Center, Sea buckthorn oil, Vitamins and supplements, www.professionalsupplementcenter.com. Bookmark the permalink.